Match cards either by matching color or value and play action cards to change things up. Having problems? Visit the Uno support page. Visit Uno's support page if you are experiencing game issues. It`s one of the most iconic classic games that we all grew to know and love! 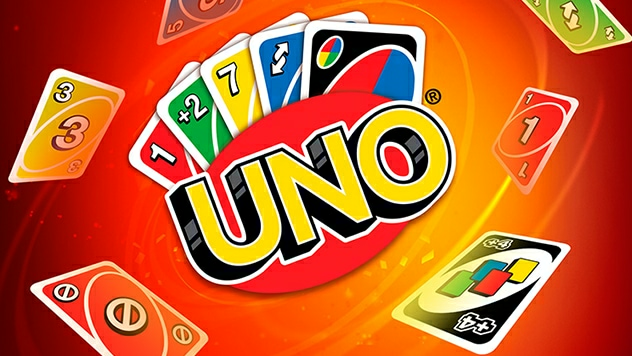 UNO® makes its return to consoles and PC with an assortment of exciting features such as added video chat support and an all-new theme system that adds more fun! Match cards either by matching color or value and play action cards to change things up. Race against others to empty your hand before everyone else in either Classic Play or customize your experience with a variety of House Rules and match settings to ensure you and your friends never play the same game twice! Also, get ready to shake things up with new branded themes, including never-before-seen Theme Cards that really change the way you play the game! Stacking: When a Draw Two or Wild Draw Four is played, play the same type of card to add to the penalty and pass it down to the next player. 7-0: Playing a 7 allows you swap hands with another player, and playing a 0 forces all players to take their hand and pass it down in the order of play. Jump-In: For the first time on consoles, Jump-In is available for play! Whenever a card is played, if you hold an identical card, you may play that card out of turn. For the first time ever, you can use all House Rules together to make your matches as crazy as you want. Exclusive Themes: Wacky Rabbids-Branded Theme Included! Try out the all-new visuals to play in the crazy universe of Rabbids. Enjoy new gameplay, with 4 new cards, such as the Wild Blue Yonder card that allows you to protect yourself from drawing cards while passing the penalty down for hilarious results! Interact with your friends and other players. Track your progress through a variety of social features such as global and weekly Leaderboards. Gain levels as you play in Online Modes and unlock special Medals to display and show off to your friends and other opponents. While playing, talk to other players using Voice Chat Support. Put on Video Chat so you can see the funny expressions on your opponents’ faces as you secure yet another victory over them! Playlink for PS4 Available Now! UNO for PlayLink is a free title update available on the PlayStation™Store. Using smartphones and the UNO PlayLink app, players can play with up to three friends locally and enjoy the fun of the original rules of one of America’s favorite card games. UNO and associated trademarks and trade dress are owned by, and used under license from, Mattel. © 2016 Mattel. All Rights Reserved. Game software © 2016 Ubisoft Entertainment. All Rights Reserved. Ubisoft and the Ubisoft logo are trademarks of Ubisoft Entertainment in the US and/or other countries. The “PS” Family logo is a registered trademark and “PS4” is a trademark of Sony Interactive Entertainment Inc. Software platform logo (TM and ©) OGA 2016.